What is that smell? Is that smoke? You look around and see smoke and flames! Why isn’t the fire alarm sounding? It could be because of the type of fire alarms installed. 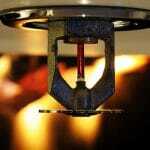 Wireless fire alarms are easy to install anywhere – the main advantage of any wireless system is its portability. While conventional wired systems need to be hardwired in place, wireless systems need no more than a few nuts, bolts, and screws. As a result, they can be installed anywhere and moved around as needed. Wireless fire alarms are easy to modify – updating the layout of your building? Need to move your fire alarms around? No problem! Wireless fire alarms can be moved around as necessary so you’re always getting the best protection possible, no matter what changes go on in your building. Wireless fire alarms will work if the power goes out – since wireless systems run on batteries, you won’t have to connect your system to a power grid. So, if a blackout occurs, your system will continue to run with no drops in protection. Wireless fire alarms require batteries – make sure to have a lot of batteries on hand. Wireless systems run on batteries, so they will need to be frequently checked and replaced. Wireless fire alarms have range restrictions – for large areas, a wireless system can have an issue with transmitting information to the main control panel. Wireless fire alarms may not be monitored – while some wireless fire alarms have a dialing system to call the fire department, most simply provide an audible alert. Not surprisingly, wireless technology is becoming more and more popular in modern homes and businesses, thanks to their cost benefits and ease of installation with Fire Control Systems. Advances in technology have made them as reliable as wired systems offering all the same features and even offering a way to integrate wireless components with an already hard wired system.